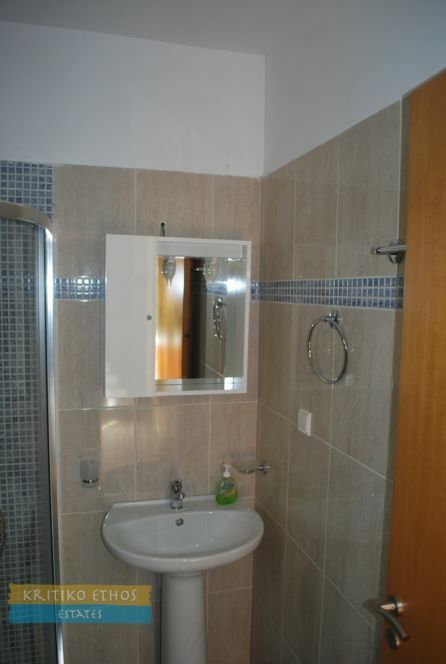 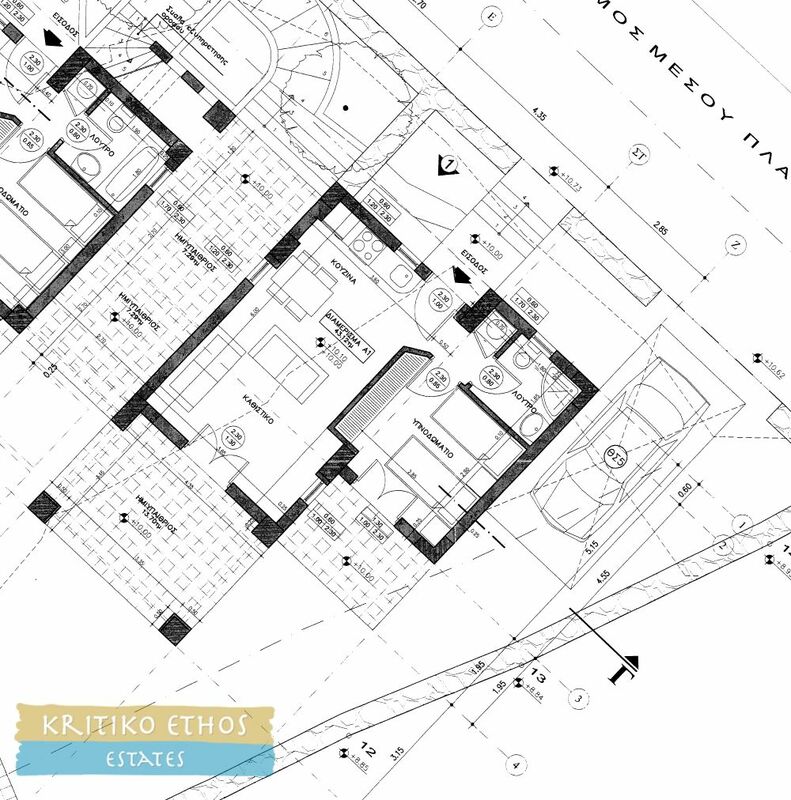 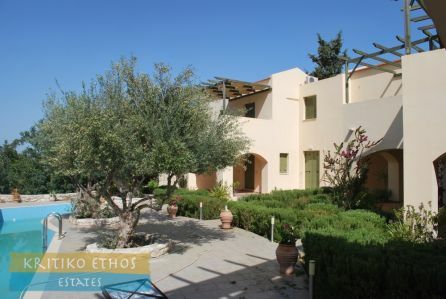 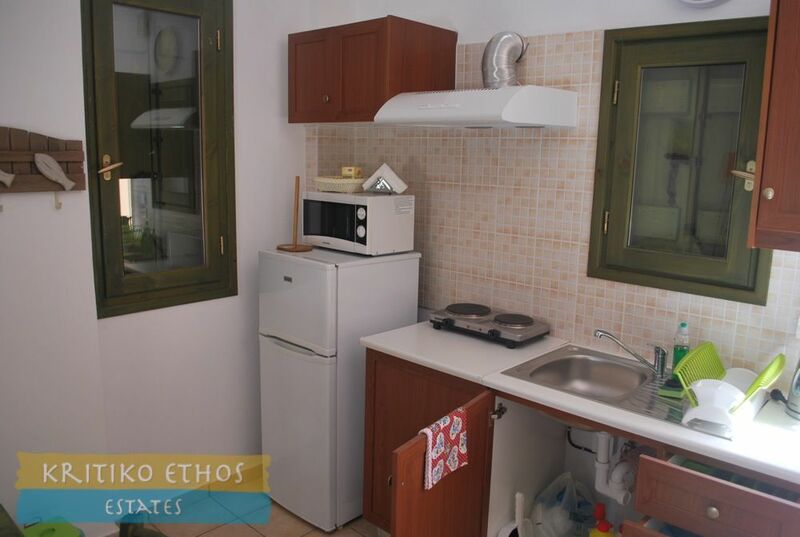 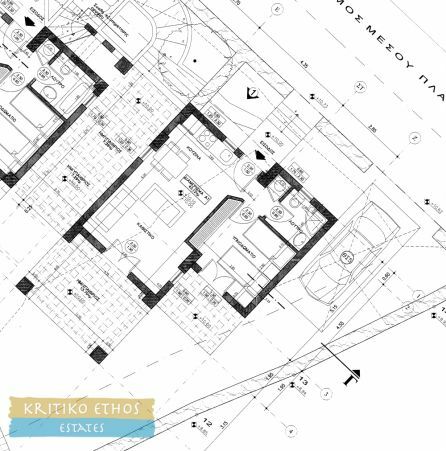 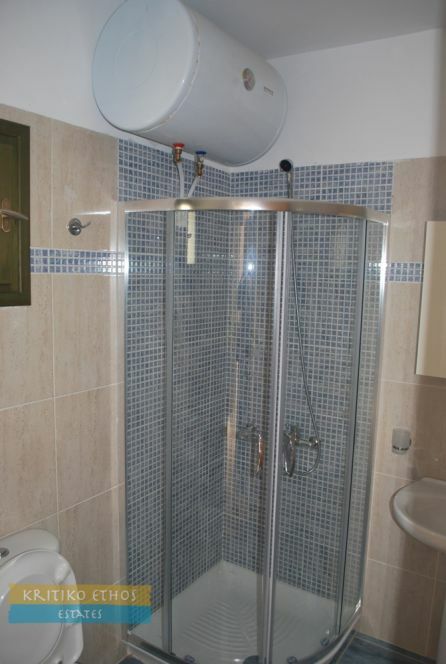 This very well finished 45 sqm ground floor one bedroom apartment is one of twelve in a complex within walking distance of the traditional village of Gavalohori. Simply the perfect holiday home with a large shared pool, beautifully landscaped gardens, and close by to all the tavernas and amenities in Gavalochori. Almerida Beach and Kalives are just a short drive. French doors open from the pool terrace and communal garden are to the spacious open plan sitting and dining area with the kitchen to the rear. A doorway from the kitchen leads to the private car park at the rear. A hallway leads from the right side of the kitchen to the large double bedroom and a shower room plus a storage room housing the washing machine. 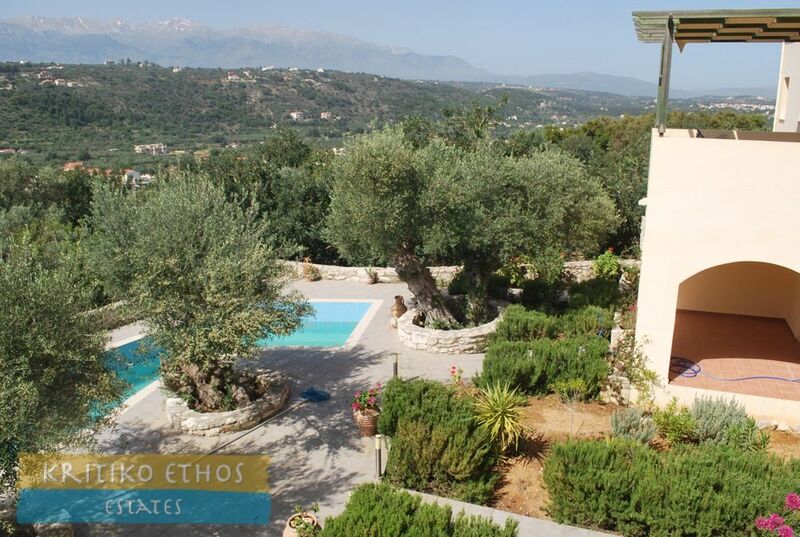 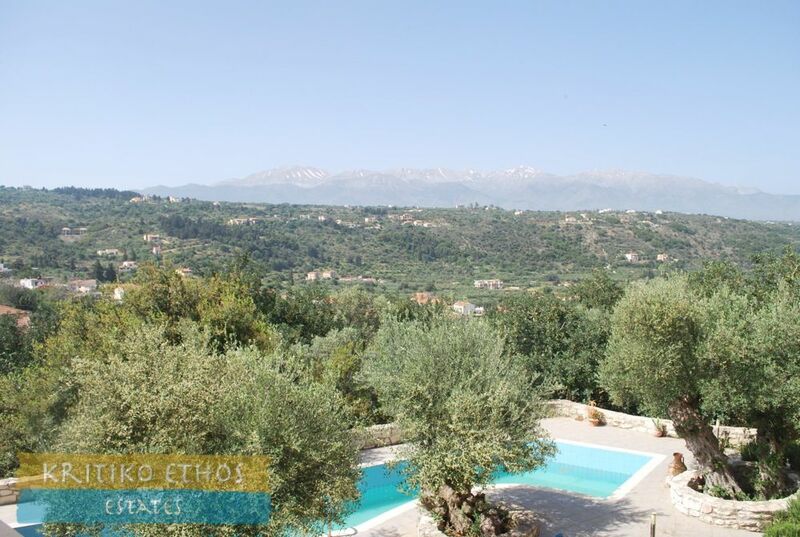 The pool area has been well landscaped with olive and cypress trees plus a variety of flowering plants and herbs. 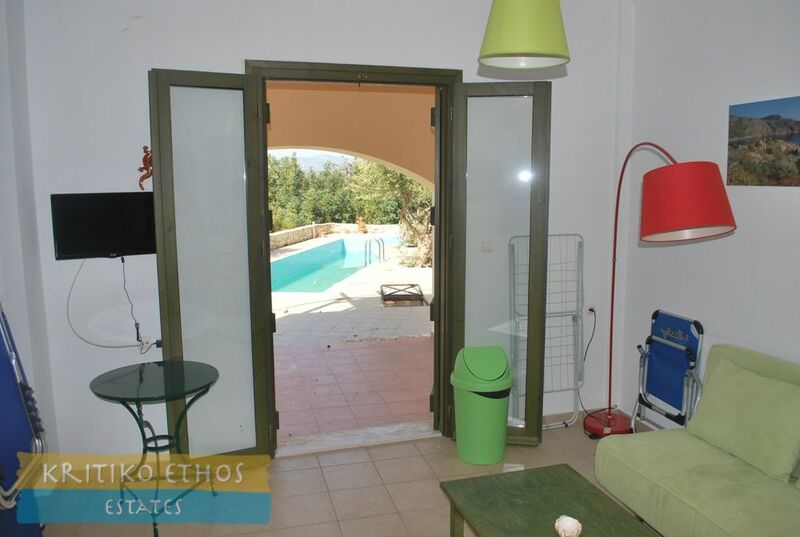 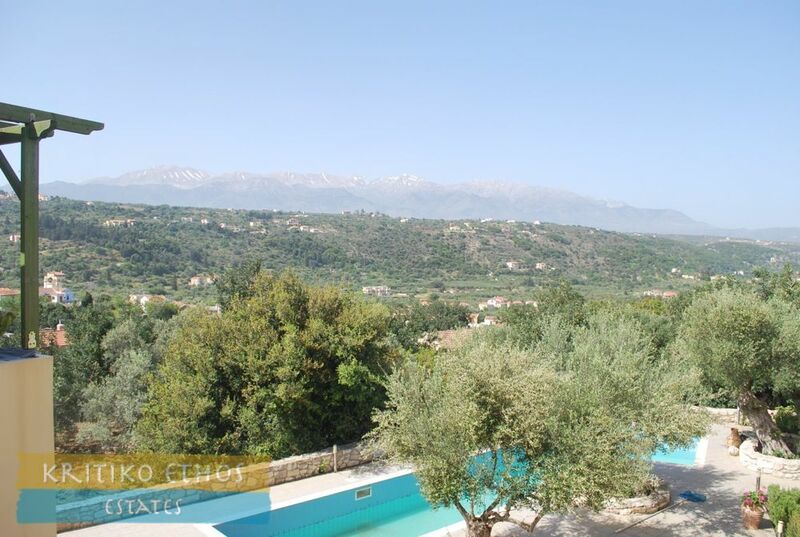 There are excellent mountain views from the pool terrace as well as the apartment terraces.